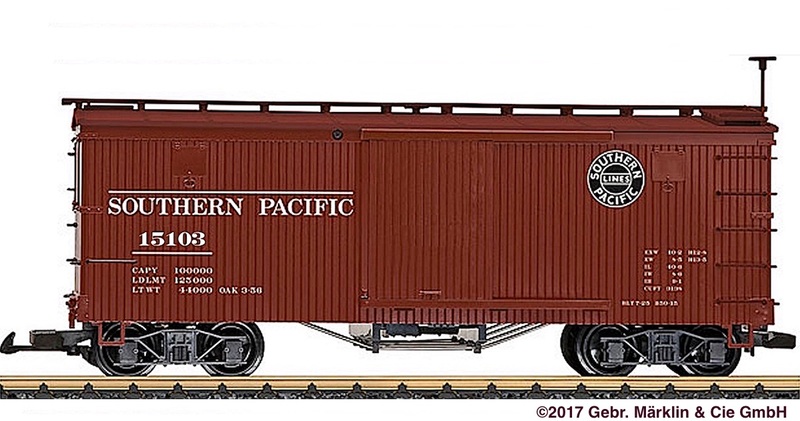 Gedeckter Güterwagens der Southern Pacific Railroad. LGB 48671 ist der gleiche Wagen mit einer anderen Betriebsnummer. Prototypically painted and lettered for era III. This car has many separately applied details. Sliding doors on the sides that can be opened. Equipped with metal wheel sets. LGB 48671 ist the same car with a different road number.